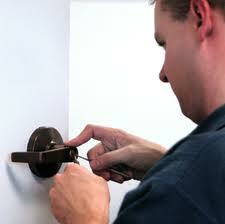 Orlando Locksmith guys provides 24/7 mobile emergency locksmith services in Orlando and its sorroundings. We are committed to providing Fast locksmith services, without sacrificing the quality of our work. We specialize in all types of locksmith services from Emergency, Automotive, Residential, and Commercial locksmith services. Our Orlando locksmiths are experts in all service, installation, and repair of any locks/Keys, and safes. When you call for emergency Orlando locksmith services, you want a company that can responds quickly. We equip our technicians with the most-advanced machinery for solving emergency business, home and vehicle problems at best competitive rates. Thousands of people already chose to trust Orlando Locksmith Guys for any of their locksmith needs. When you in need of a locksmith in Orlado and time is of the essence, don't waste your precious time by calling unlicensed locksmiths or calling center....Call the best, local locksmith Service in Orlando..Orlando Locksmith Guys!. Our Orlando FL Locksmith techs can handle all your emergency and general locksmith services: whether to your car, home or business, with as little inconvenience to you as possible. Call (407) 930-4449 now! Copyright © 2016 Orlando Locksmith Guys. All Rights Reserved.